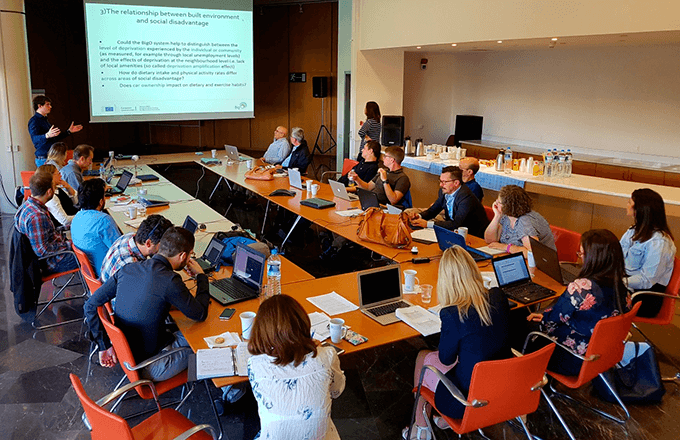 On October 17-19, the BigO plenary meeting was held at the COSMOTE premises in Athens, Greece. The focus of the meeting was to present the progress, results and issues for the first year of the project, take decisions and plan for the next steps. A mobile app creating a map of food advertisements in a city is ready to be released. High school students at Wageningen (The Netherlands) and Stockholm (Sweden) will be enrolled as citizen scientists to test the app. Next in line is the upcoming first prototype for data collection of the users’ physical activity, eating behaviour and of the local urban environment.